Social workers provide more mental health services than any other profession, yet recent biomedical trends in psychiatry appear to minimize the importance of their traditional concerns, which focus on the social environment that accompanies mental disorders and their treatment. 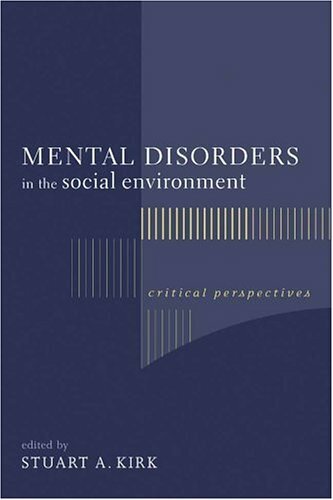 In twenty-four chapters written by distinguished scholars this book not only calls attention to this emerging problem and challenges conventional mental health beliefs and practices, but also raises provocative questions: Has social work become too closely associated with psychiatry and too quick to adopt a medical approach? Has the focus on the therapeutic relationship negated social work’s commitment to social reform? Is the social worker marginalized by the emphasis in mental health on biochemistry and psychopharmacology?